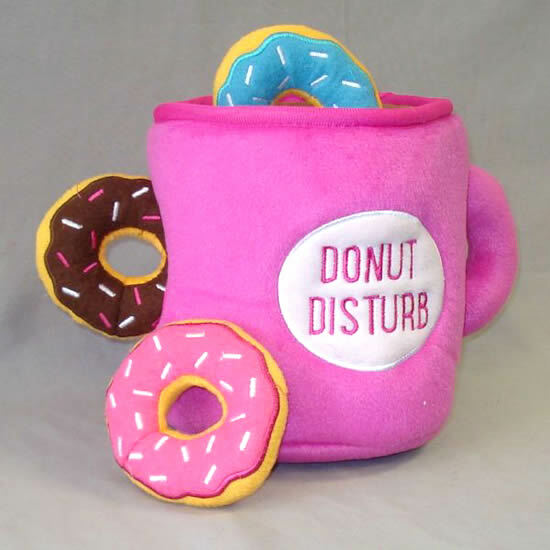 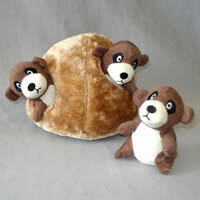 Keep your small dog active and his brain engaged with a Zippy Burrows Interactive Plush Toy! 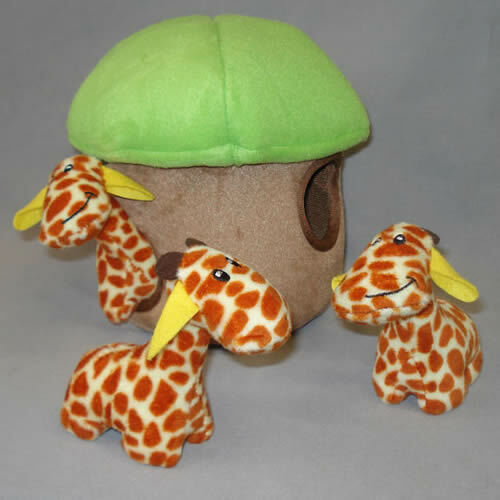 You can earn 14 Golly Gear Rewards Points on this product! 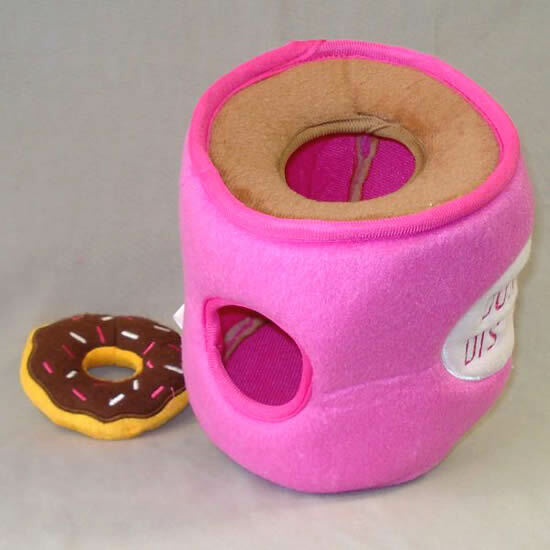 Your Small Dog Can Find the Toys! 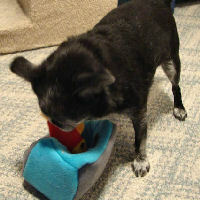 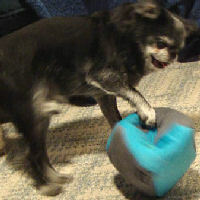 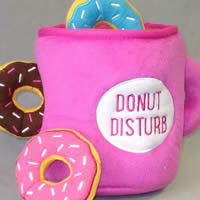 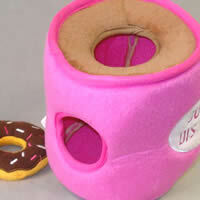 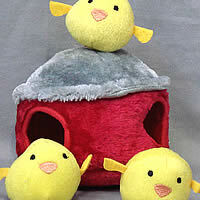 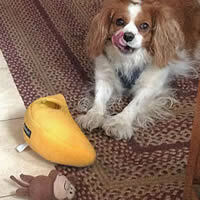 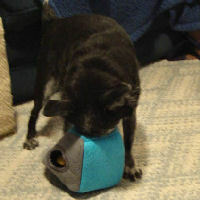 Your small dog will burrow in the toy for the squeaky animals and pull them out for you to toss. 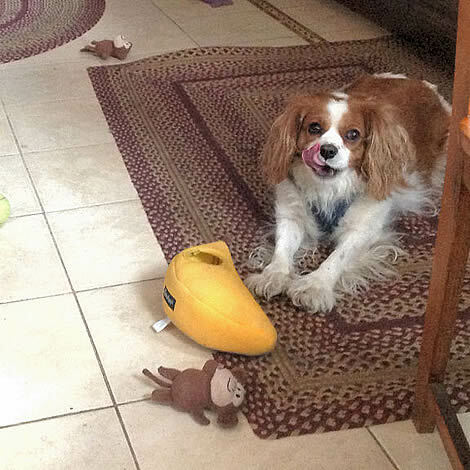 He'll chase the little toy, squeak it, and bring it back to you (or you'll both have fun as your little dog makes you chase him for the toy!). You'll put it back into the Burrow, and the game starts again! 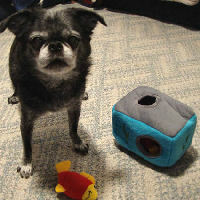 We find that our little dogs are much more tired after play when they have to think! 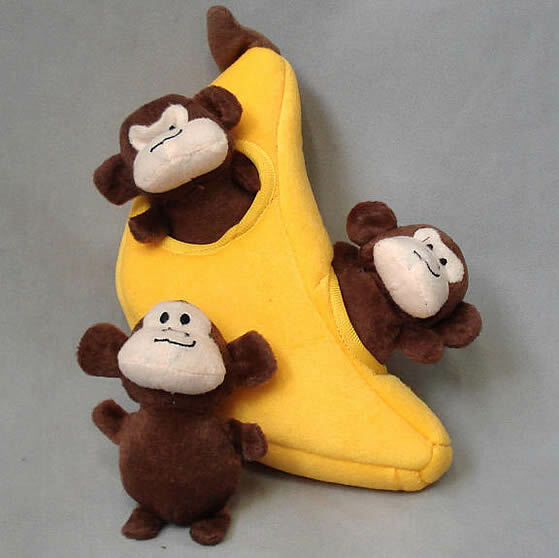 Monkey & Banana - measures about 9 1/2 x 3 x 4; each monkey is about 4 x 2 x 1 1/2. Giraffe Lodge - measures about 5 1/2 inches in diameter x 7 inches high; each giraffe is about 4 x 2 x 4. Aquarium - measures about 6 1/2 x 4 1/2 x 4 1/2; each fish is about 4 x 2 1/2 x 1 1/2. 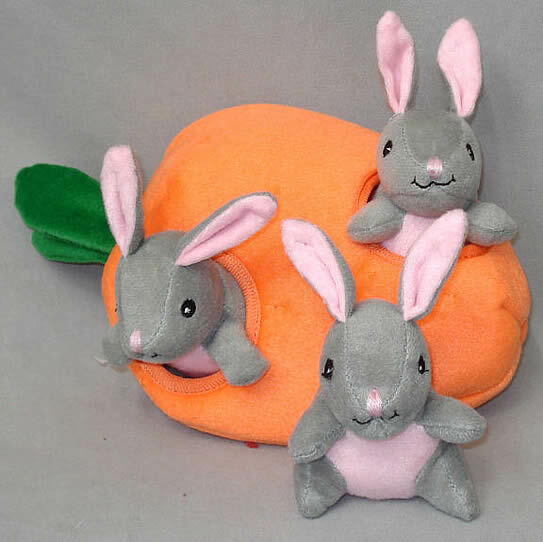 Bunny & Carrot - measures about 4 1/2 inches in diameter at the top x 7 1/2 inches high; each chipmunk is about 4 x 2 x 2 1/2. 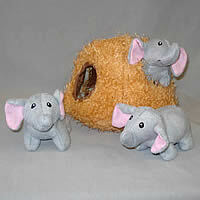 Elephant Cave - measures about 6 x 6 x 6; each elephant is about 4 x 2 x 3. 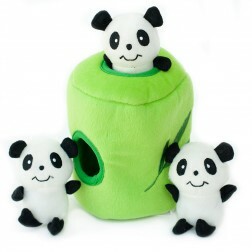 Panda & Bamboo - measures about 5 inches in diameter x 6 1/2 inches high; each panda is about 3 1/2 x 1 1/2 x 1 1/2. 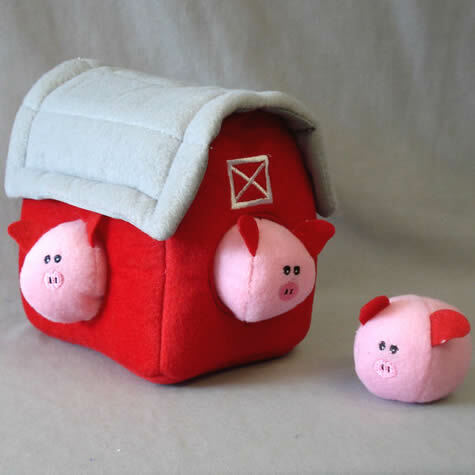 Pig Barn - measures about 6 inches wide x 6 inches tall x 3 3/4 inches wide; each pig is about 2 inches in diameter. 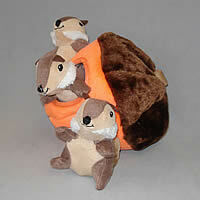 Meerkat Den - measures about 6 inches in diameter x 6 inches high; each meerkat is about 4 x 2 1/2 x 1 3/4. 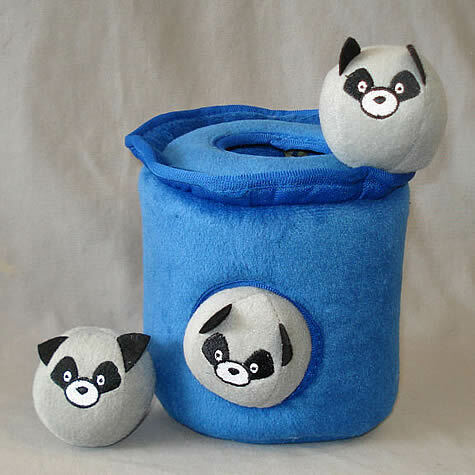 Raccoon Trashcan - measures about 6 inches in diameter x 6 inches high; each raccoon is about 2 inches in diameter. 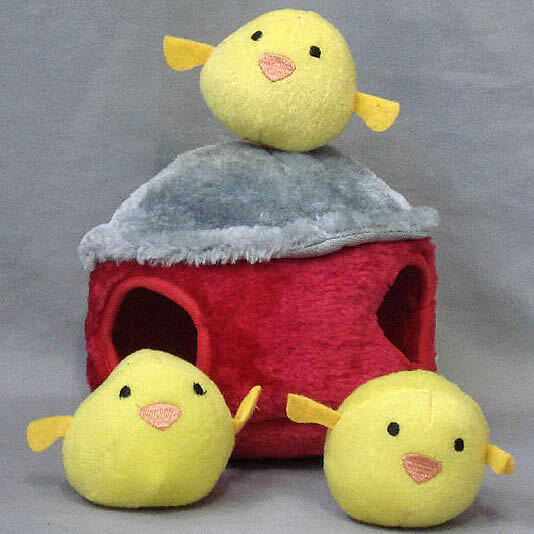 Chicken Hut - measures about 5 1/2 inches in diameter x 5 1/4 inches high at the peak; each chick is about 2 1/2 inches in diameter x 2 1/2 inches high. Hedgehog Burrow - measures about 6 x 6 x 4 inches; each little hedgehog is about 3 x 3 x 3. 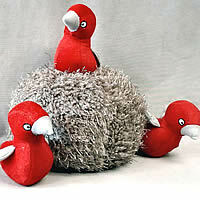 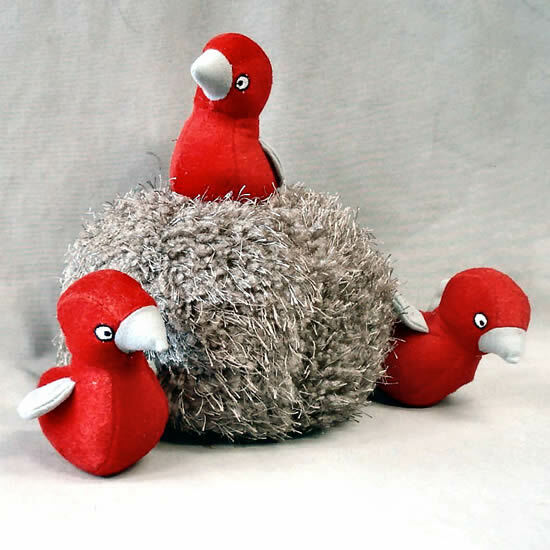 Birds Nest - measures about 6 inches in diameter x 4 1/2 inches high; each bird is about 3 x 4 inches high x 2 inches wide. 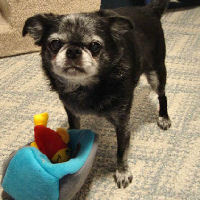 Below Roc, Hope's 12-year-old Brussels Griffon, is finding a fish in his Aquarium!